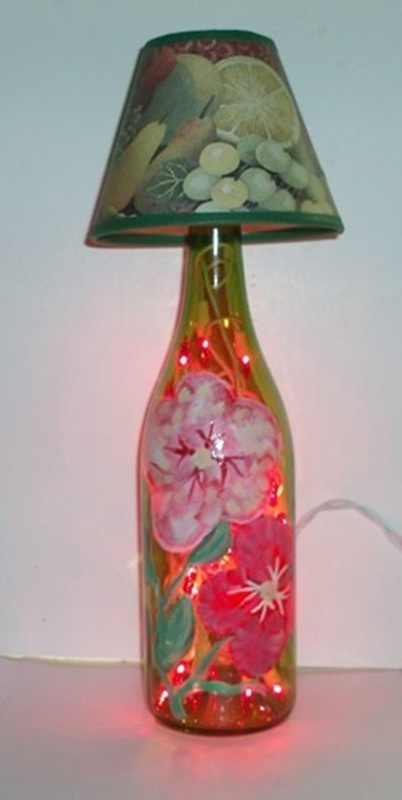 How do you like the idea of creating beautiful works of art from something that is almost considered junk? 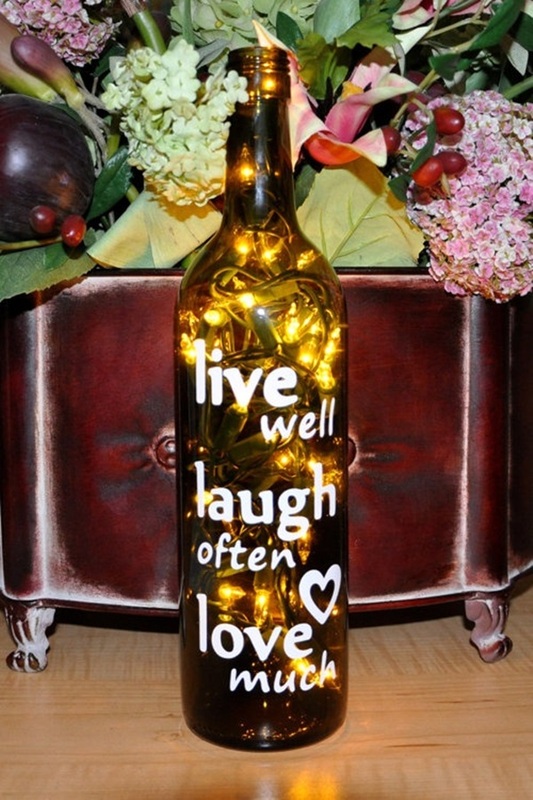 This would surely appeal to most of us who are on the lookout for ways to stretch each bit of money that we have to the most extent possible. 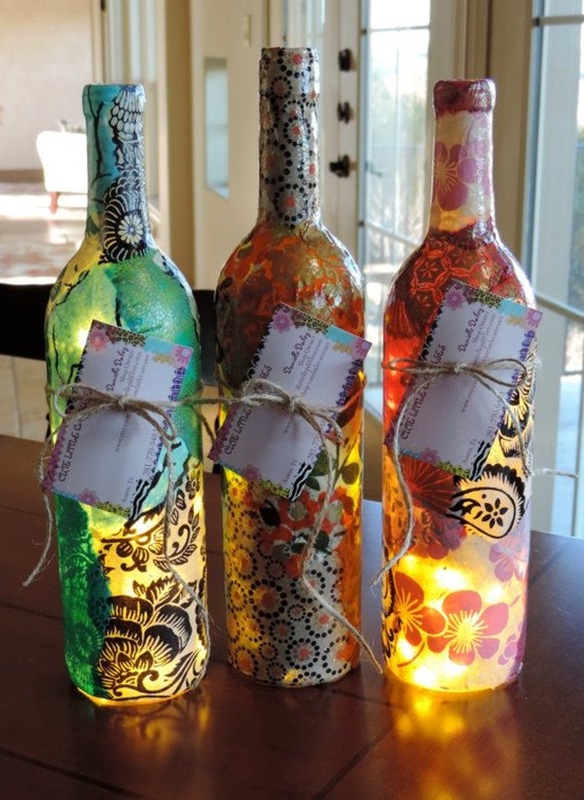 In fact, in a world where even basic necessities are pared down to a minimum and art has become an absolute luxury that can be afforded by few, this idea will surely be a hit. 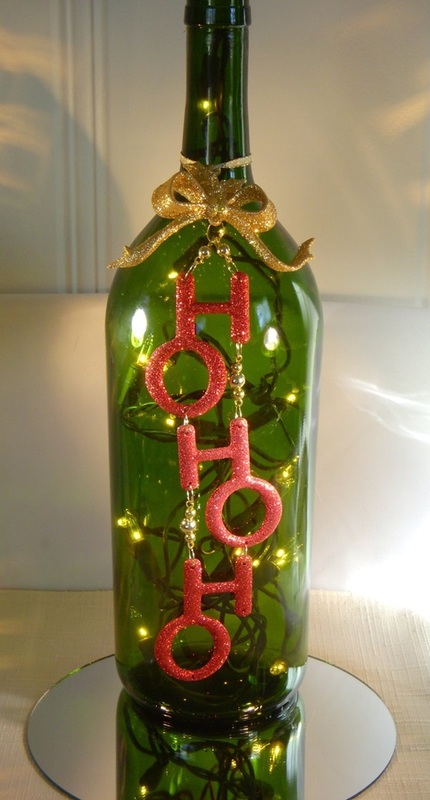 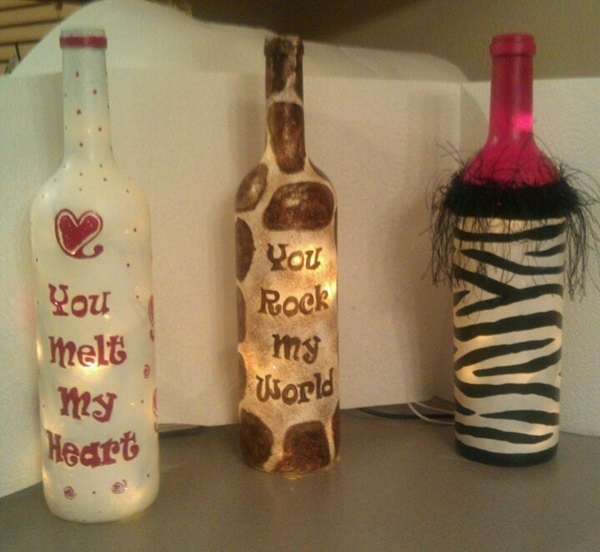 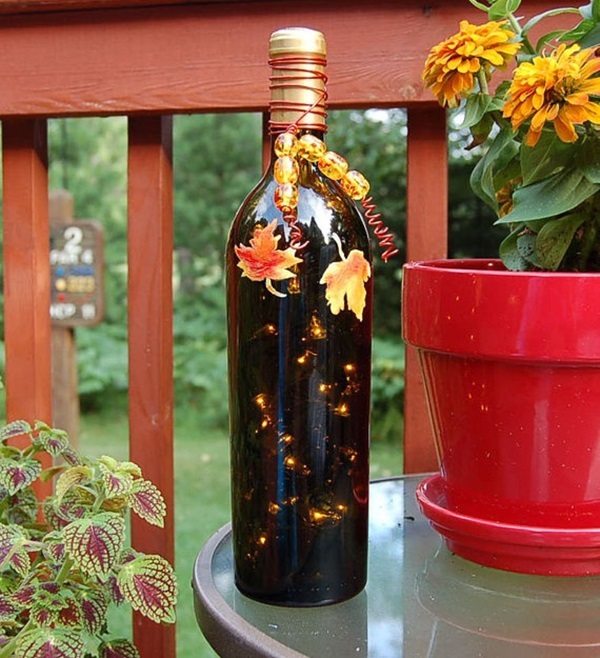 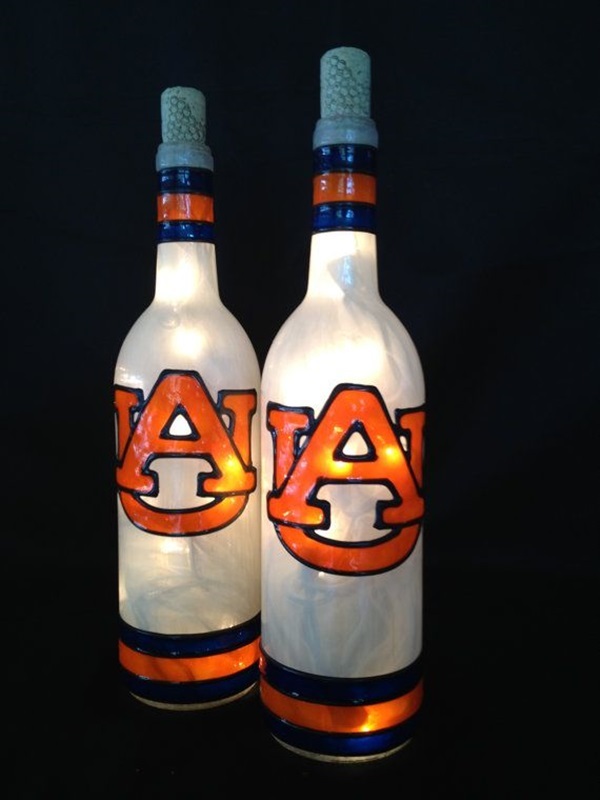 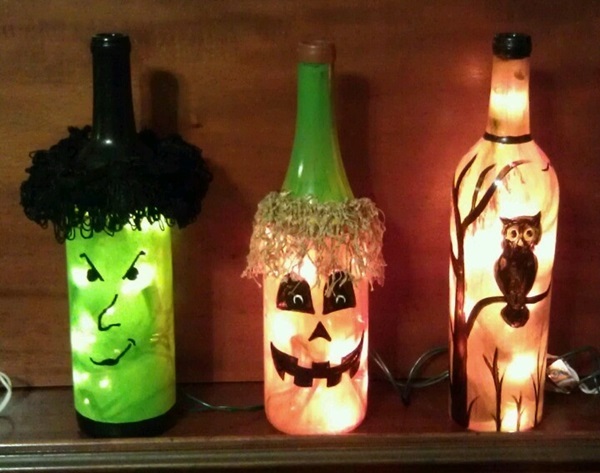 We are talking about taking old wine bottles and making beautiful lamps out of them. 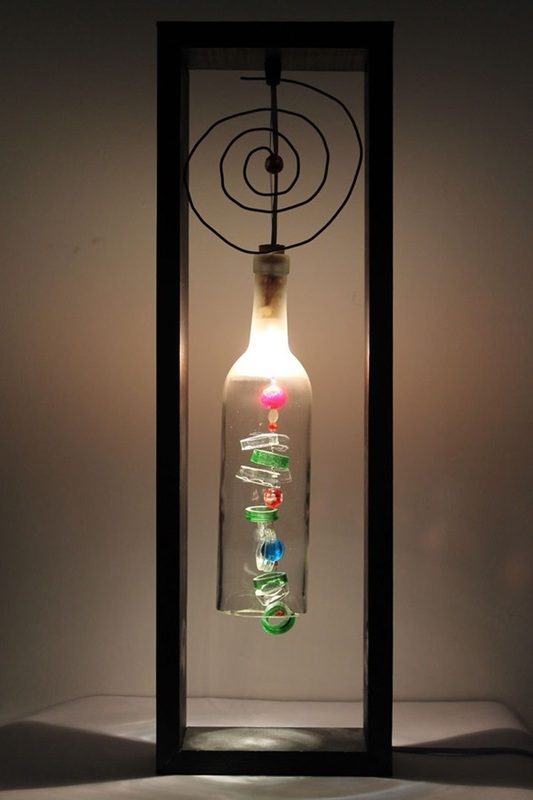 It would have some of the appeal that comes from the amazing art works created by blowing glass but without all the dangers and work that this process involves. 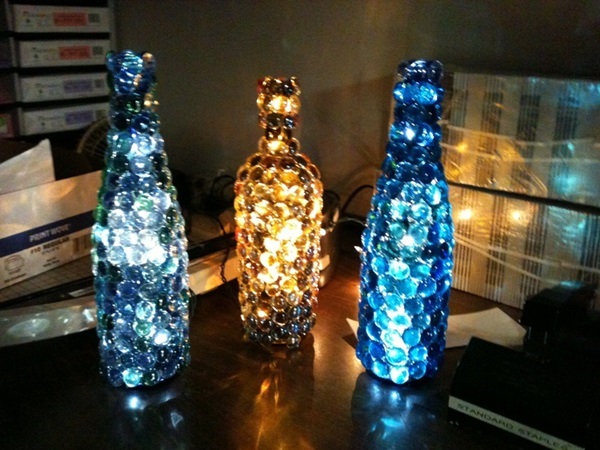 Lamps are quite essential to make a room look warmer, well lit and at the same time cozy. 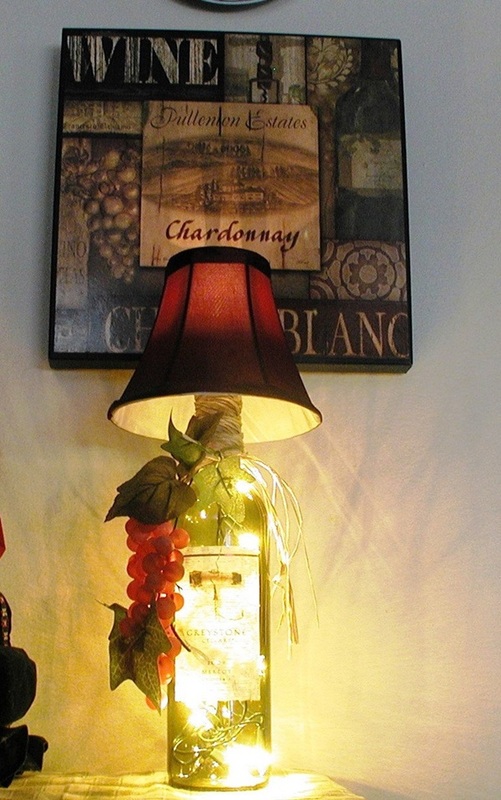 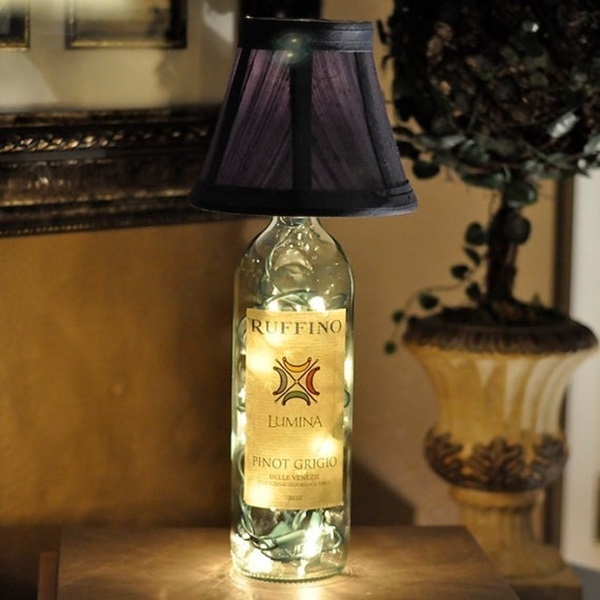 That is why when you think of beautiful wine bottle lamps, your mind wanders to attractive red living room ideas and how you can work these lamps into them. 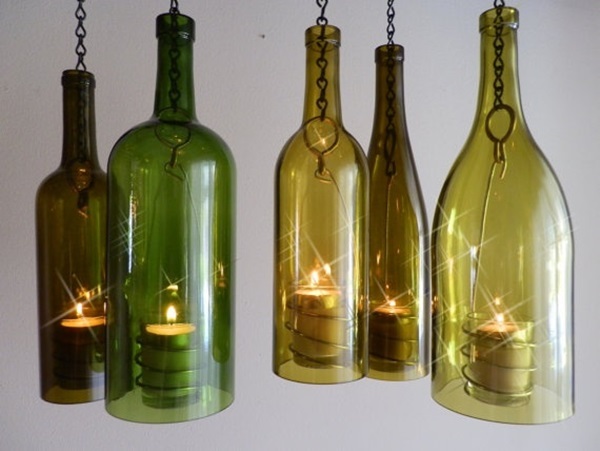 In fact you can manage to combine the art of candle making and the creation of beautiful wine bottle lamps, you will have a winning idea on your hands. 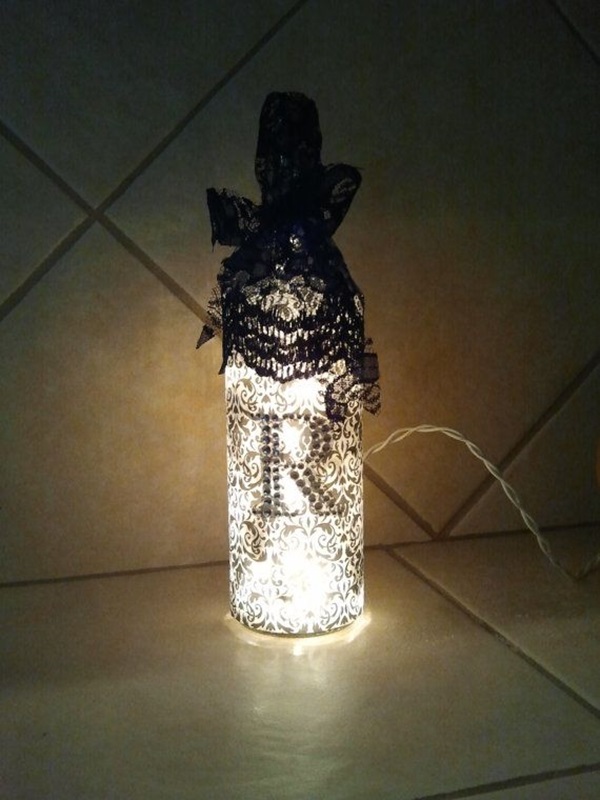 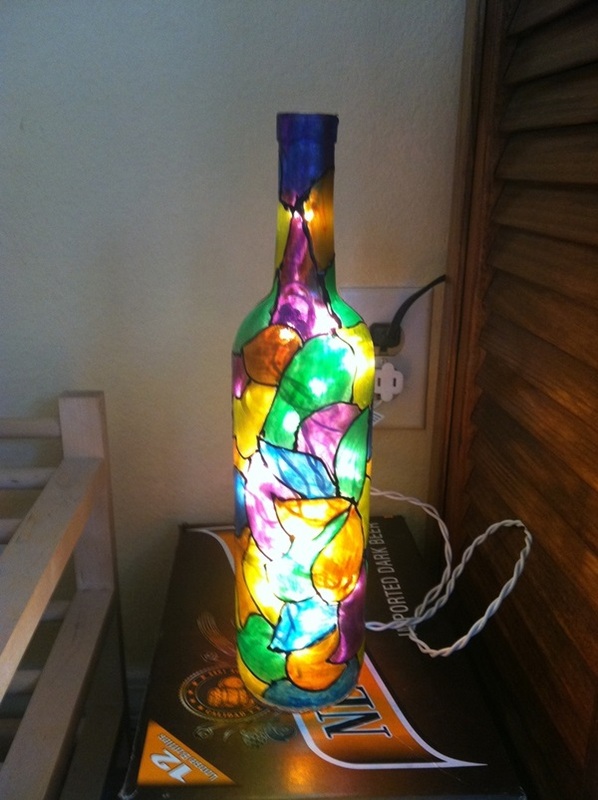 The thing about making wine bottles into beautiful lamps is that it is a project that will give you much satisfaction and once you get started on it, it will take on a life of its own and soon you will be inundated with many ideas. 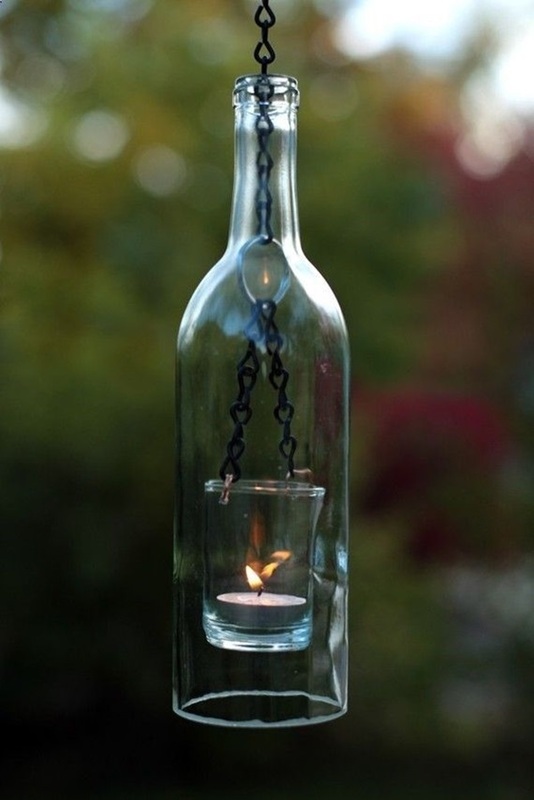 Cut a hole in the bottom and stick a candle inside: This is probably the simplest way to go about making a beautiful wine bottle lamp. 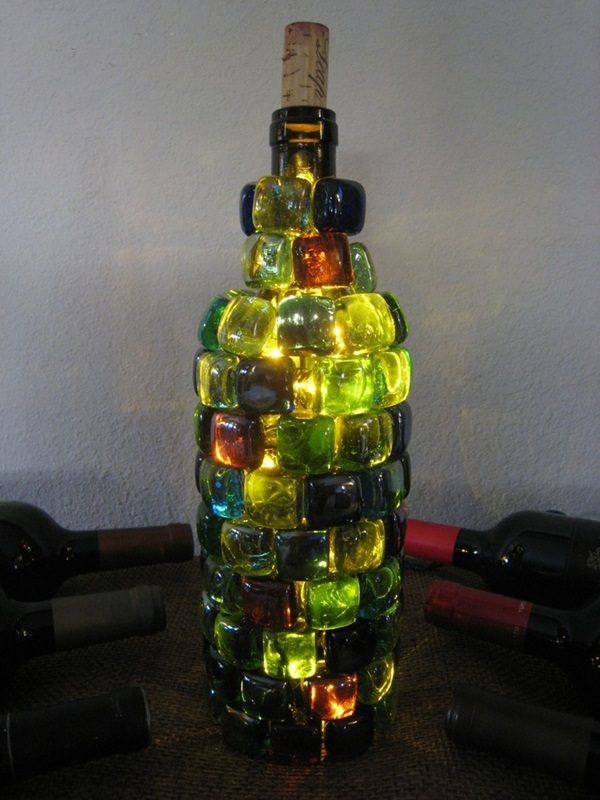 You will of course need to have the right equipment to make a neat hole in the broader and bottom part of the wine bottle. 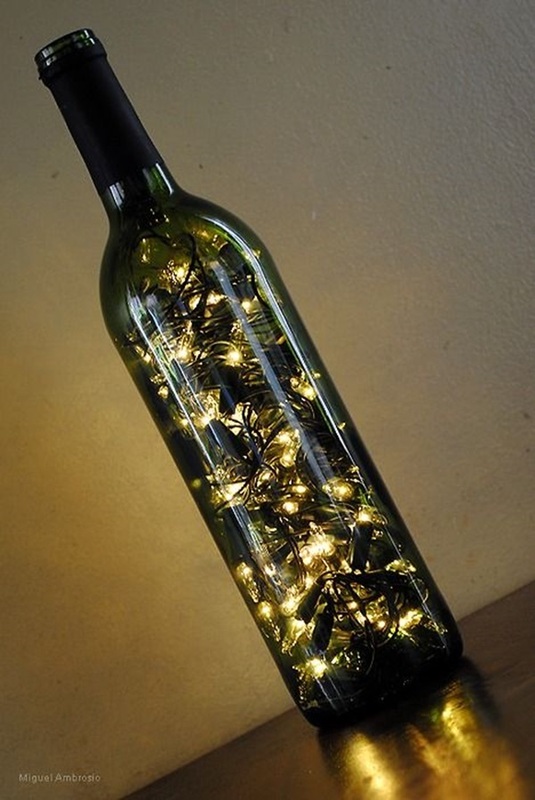 Have an electrician put in some bulbs: This is another way to go; in fact you can even create a chandelier that is unique and of your own design by putting together a collection of wine bottles in a symmetrical manner and having bulbs put it. 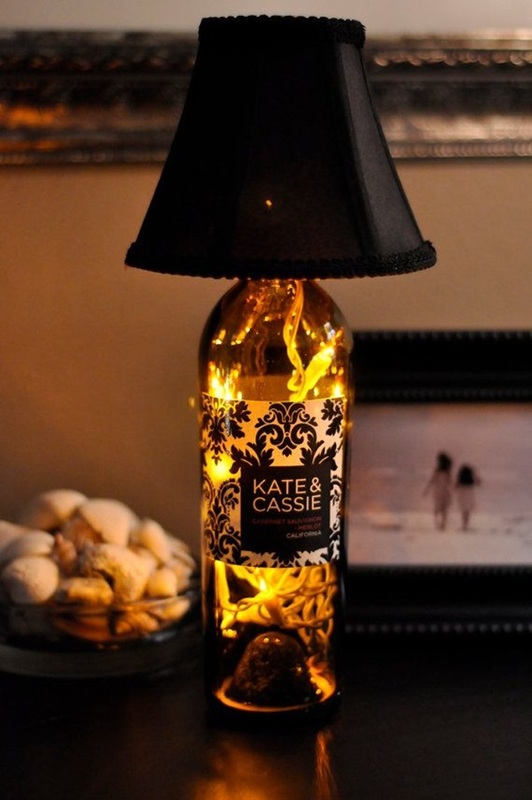 Stick a candle on top: In case you do not want to go for something so elaborate, then the simplest way to do this is to take a squat wine bottle and simply stick a cute and round candle on top. 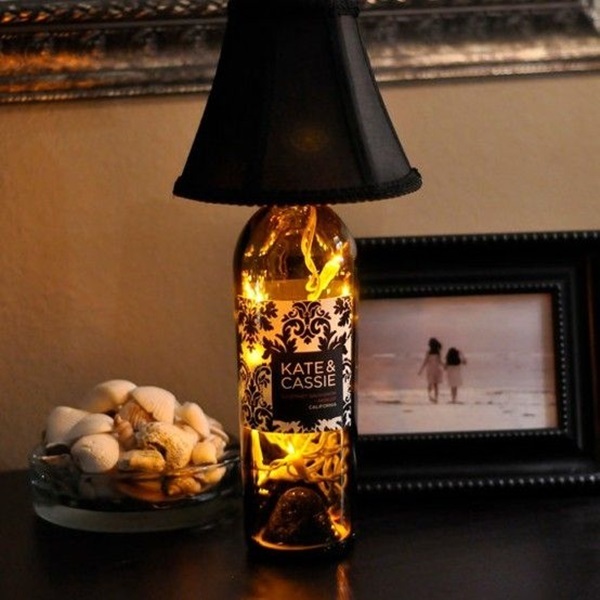 Place it in the middle of a table for a romantic candle lit dinner with a small twist. 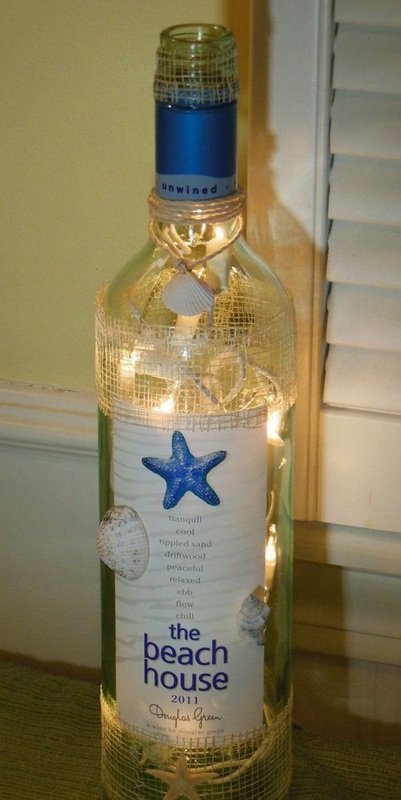 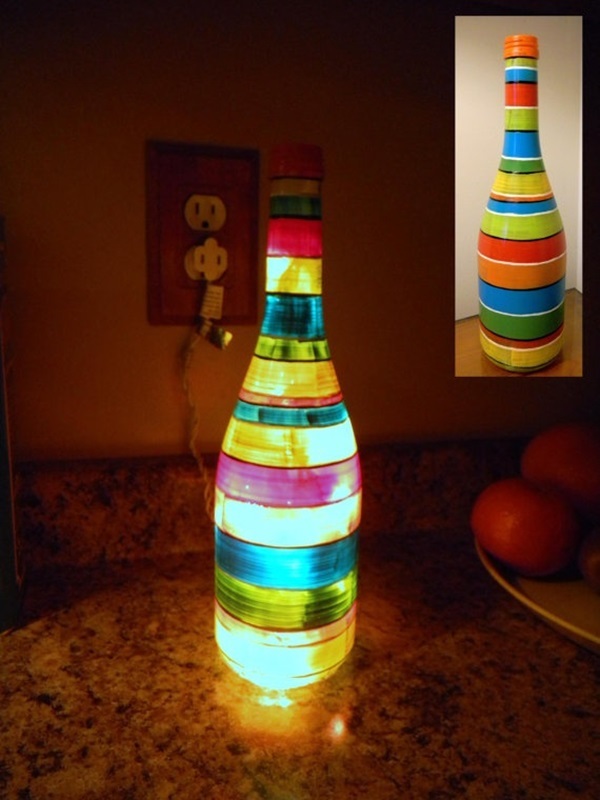 Fill it with color and make a proper lamp: You can actually fill up the wine bottle with paint of your choice and swish it around until it coats the interior and then have a electrical fixture put on top to hold the bulb and top the whole thing with a lampshade. 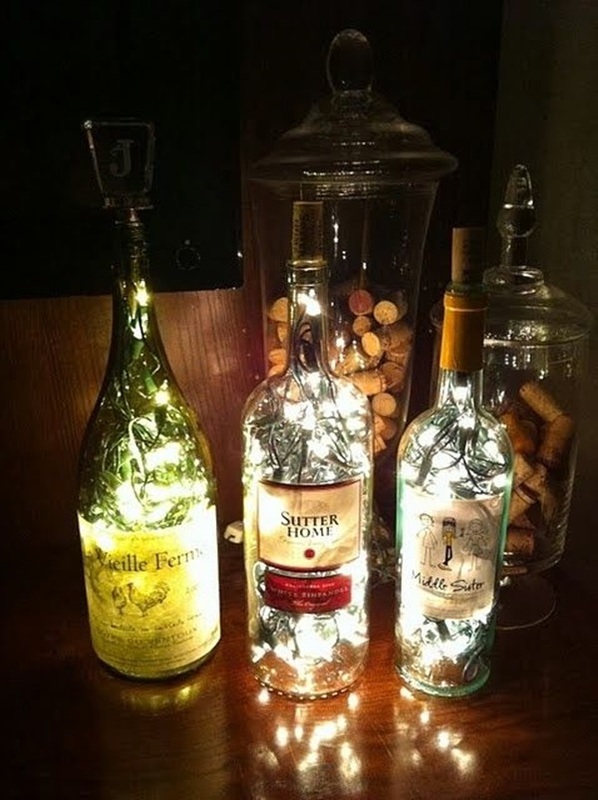 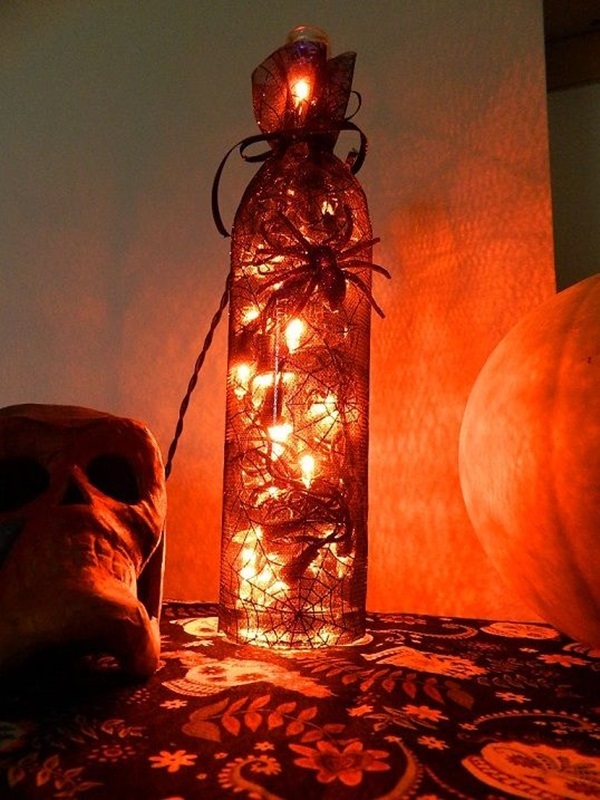 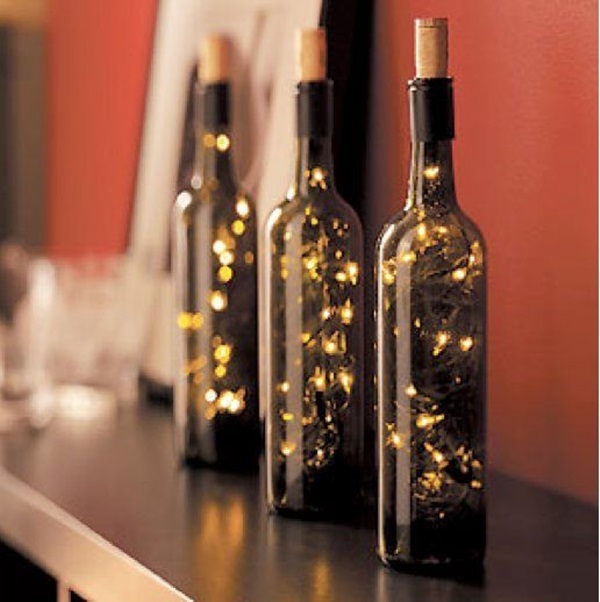 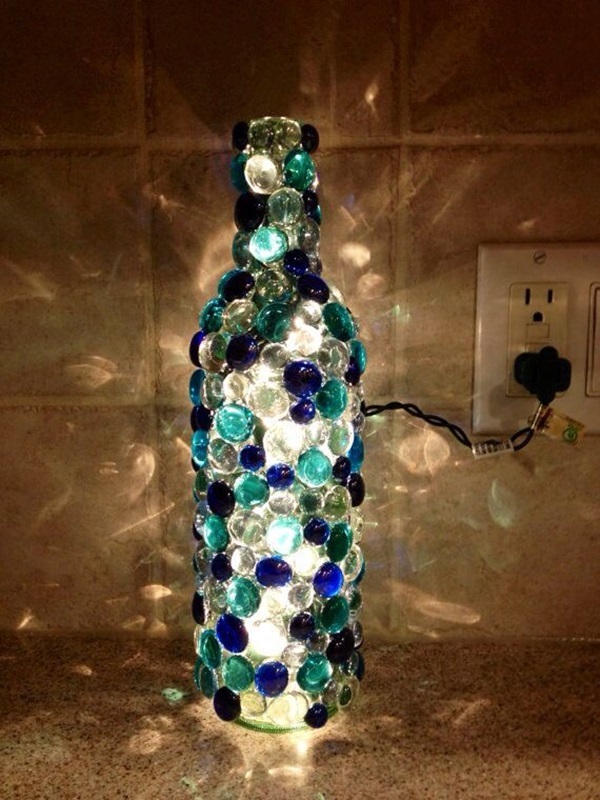 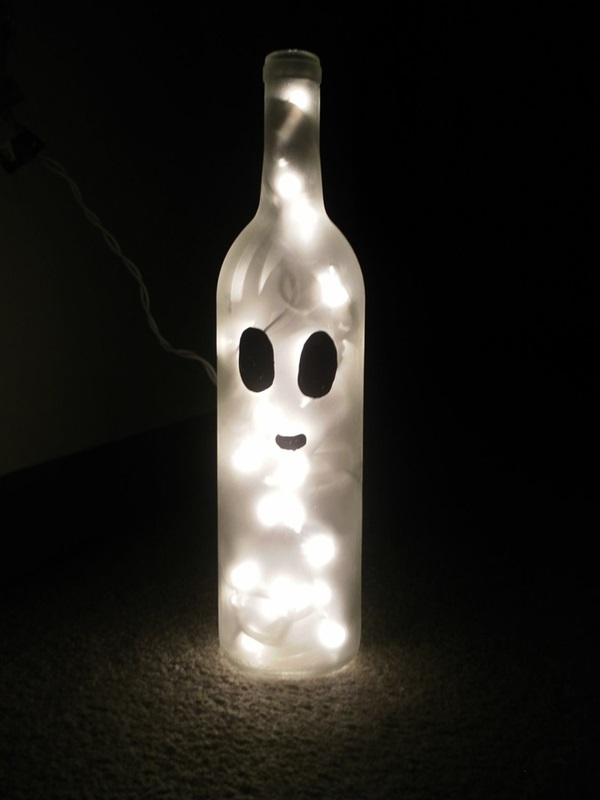 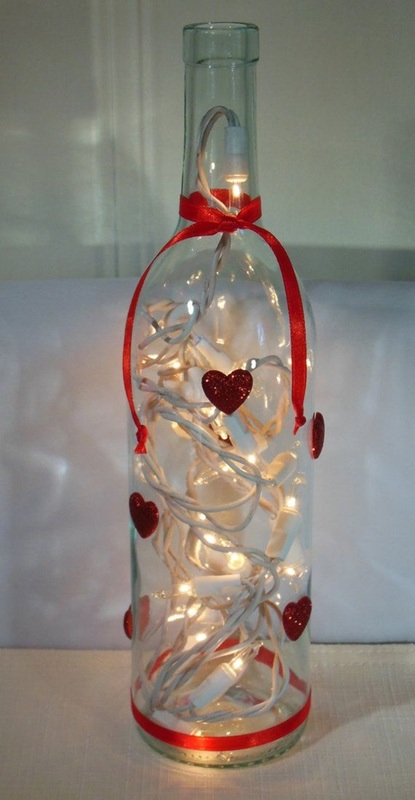 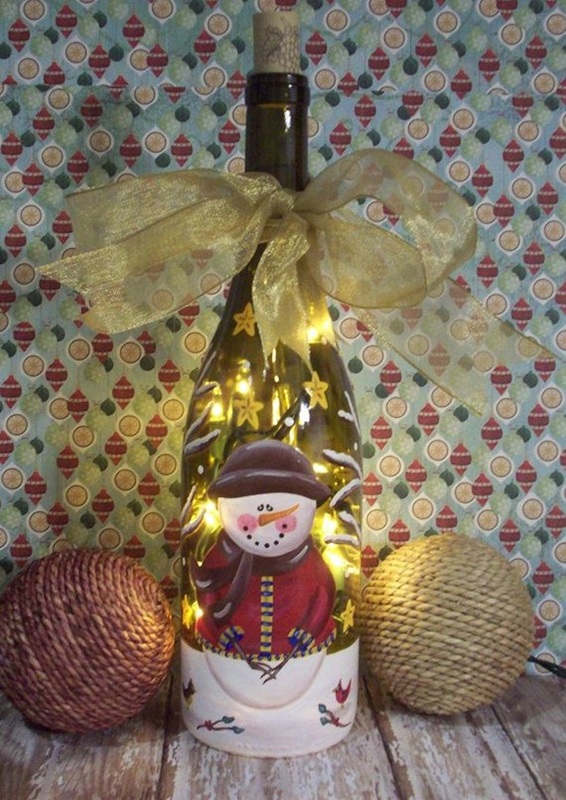 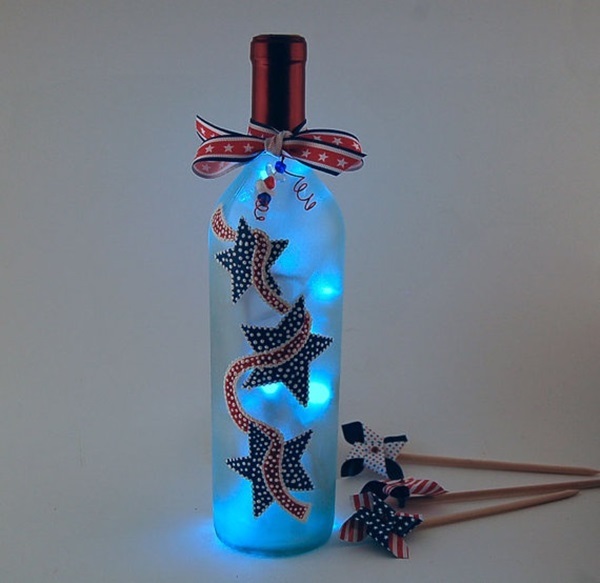 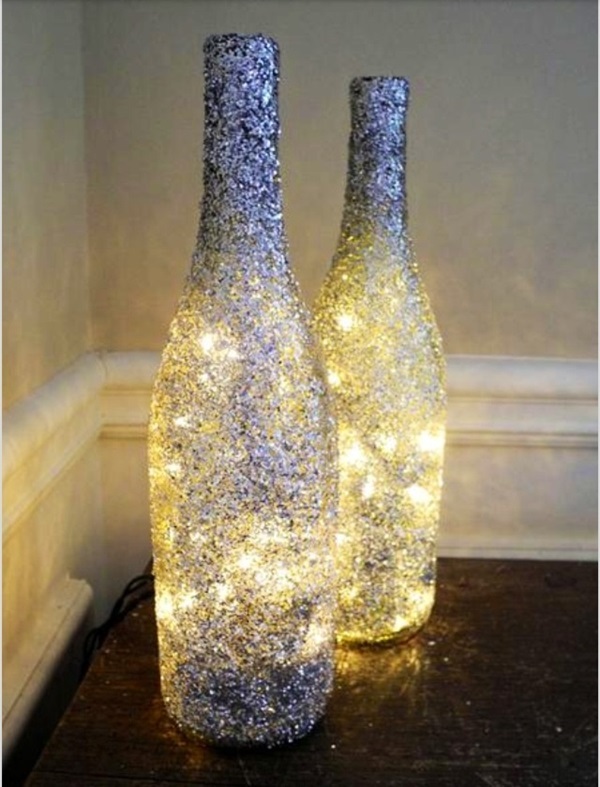 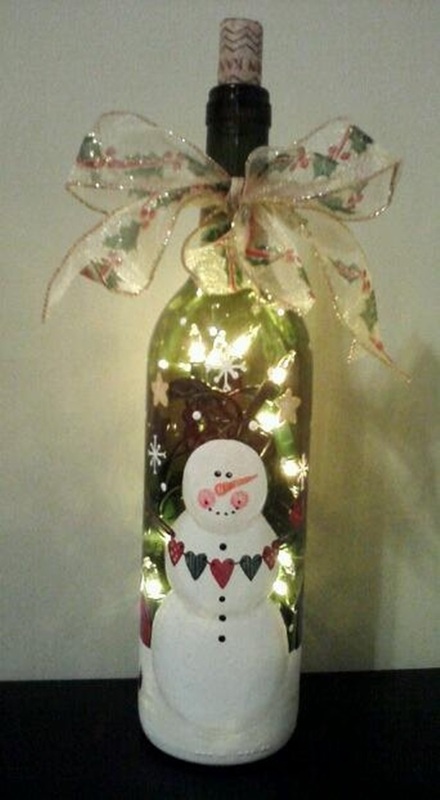 Dazzle with many small lights: Another way to go with to create a beautiful wine bottle lamp is by putting not one but several small lights inside the bottle. 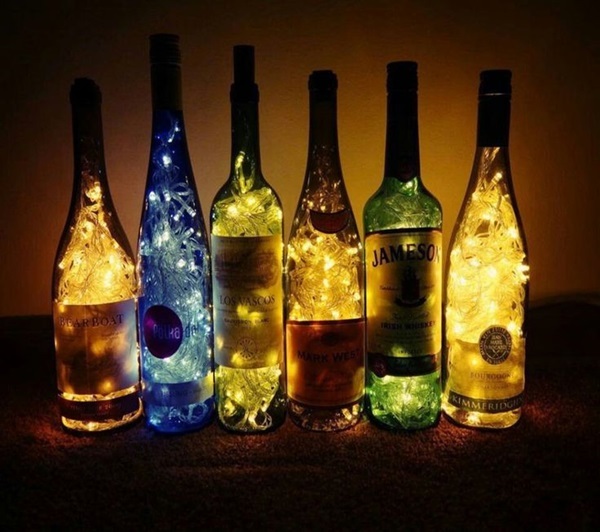 The effect will be so good that it will be like having several fireflies inside a bottle lighting up the night just for you. 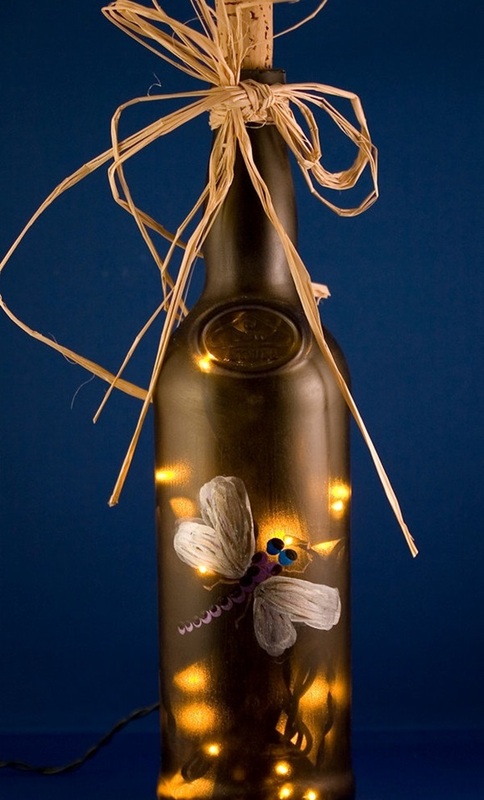 An art project of this type has a life of its own; it will take off more intensely when people see what you have done. 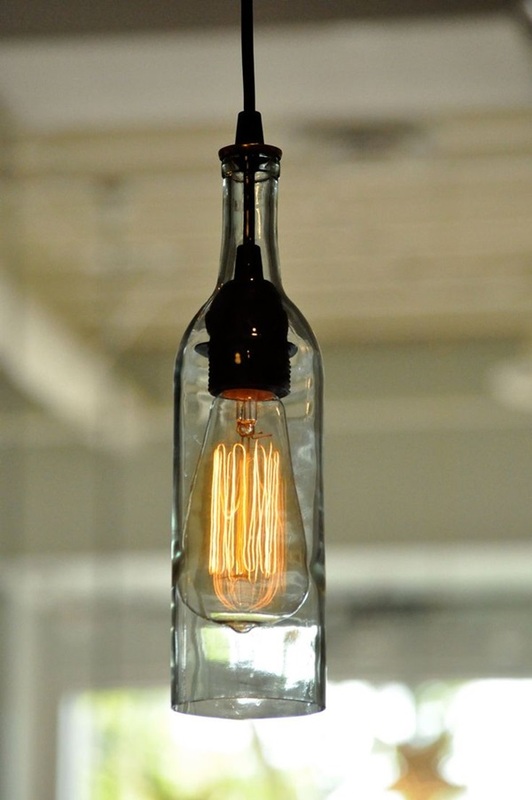 Soon you will have people giving you their own unique take on this concept and they will be trying their own versions of it. 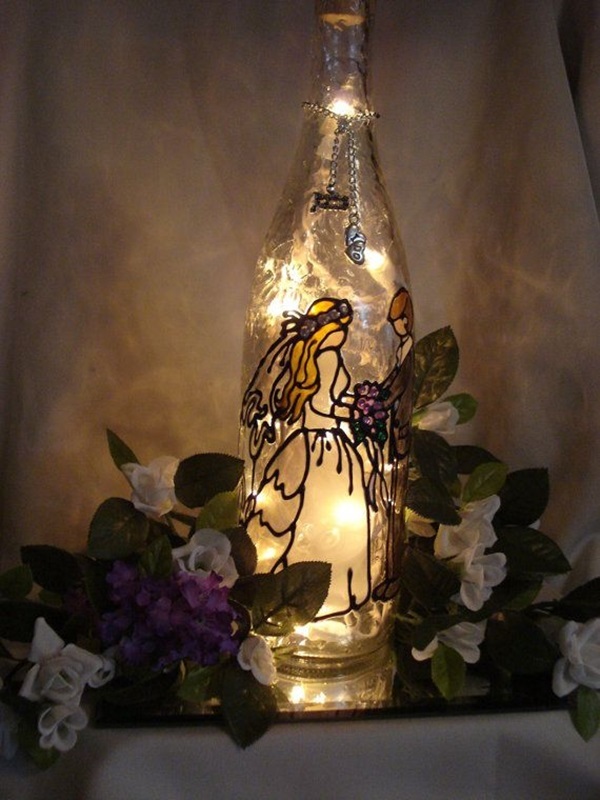 This way the base of ideas based on what started as a simple art project will take on bigger dimensions. 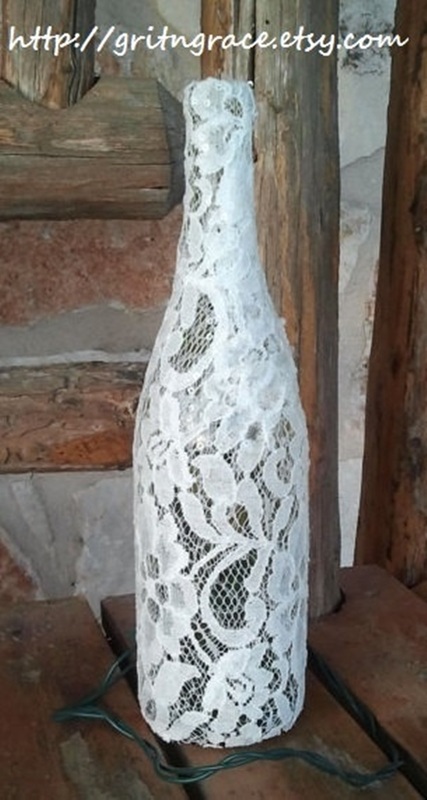 However, is that not the whole point of art? 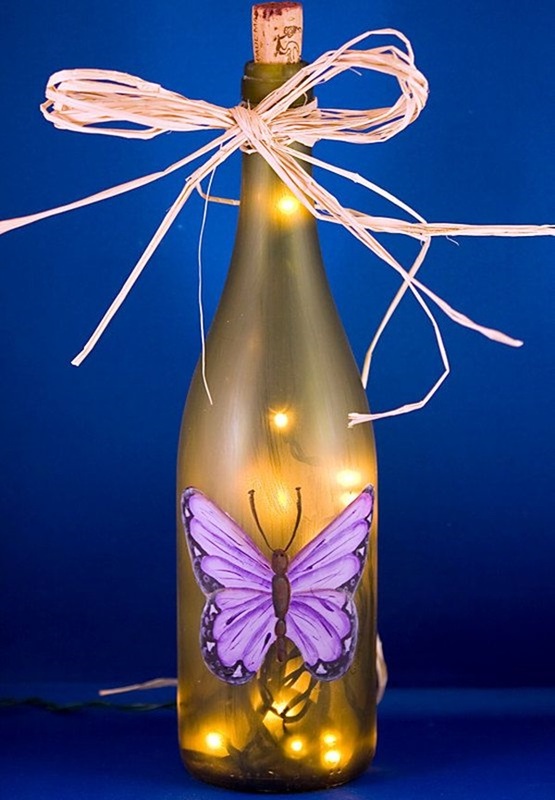 To be available, accessible and most importantly affordable to all.